This book is about America’s increasing utilization of, reliance on, and dependence upon technology for our social infrastructure and how it is changing how we live our lives. 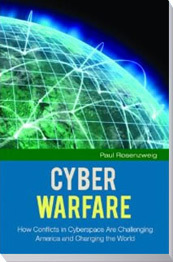 It is about how cyberspace has come to pervade our every-day activities. More importantly, it is about the vulnerabilities that arise from how we use cyberspace; and it is about what America, and the world, are doing (or could do) to respond to those vulnerabilities. If you want a short-hand way of thinking about this book, it is about our struggle to have our cake and eat it too – about how we try to reap the benefits in productivity and information sharing that come from a globalized web of cyber connections while somehow managing to avoid (or at least reduce) the damage done by malfeasant actors who seek to take advantage of that globalized web for their own reasons. 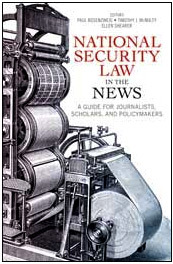 This edited volume is a one-stop shop guide to pressing issues of national security law and policy. Topics range from Guantanamo military commissions to the legality of airport body scanners. Renowned legal experts provide you with the historical background of a topic; a resource guide for further learning; and a list of experts to contact with more questions. This book is intended to help all those who find the law obscure. Behind every policy question lurks a legal landscape. President Obama’s Libyan decision was not only a policy issue but also an occasion for the discussion of the lawfulness of presidential war making without the benefit of congressional approval. This book (co-authored with James Carafano) examines America’s response to the terrorist threat. 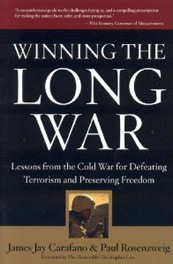 Taking its thematic cue from George Kennan’s famous Long Telegram at the outset of the cold war, the book outlines the steps needed to sustain the conflict against terrorism. It advocates military reforms, the updating of domestic laws, the preservation of civil liberties, a robust public diplomacy effort to advance the argument for freedom and strong measures to maintain a vibrant American economy.